Our Standard Rooms have Queen Bed, Bathroom, Kitchenette, A/C, Austar TV, Flat Screen TV & FREE WIFI. Our Deluxe Rooms have Kichenette, Spacious Bathroom, A/C, Mini Bar,32" LCD TV, Austar TV & FREE WIFI. Rates are per room for 2 guests using 1 Queen & 1 single bed. Maximum occupancy is 3. Kichenette, Spacious Bathroom, A/C, Mini Bar, Austar TV & Free Wireless Internet. Our Executive Spa Suite haveKitchenette,Mini Bar, Air Conditioning, Austar TV, 32" LCD TV,Free WIFI and Large Corner Spa Bath. Our 2 bedroom family room has a queen bed in the main room and a set of bunks and single fold out sofa bed in the second bedroom.The room also has a Kitchenette, Spacious Bathroom, A/C, Mini Bar, Austar TV & FREE WIFI. Maximum number of guests is 5. Great Ocean Road Motor Inn is located at Port Campbell close to all the spectacular attractions of Victoria's Great Ocean Road region. It is the only 4 star Motor Inn in Port Campbell. 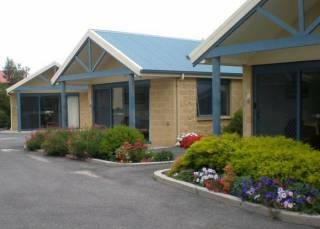 Accommodation at Great Ocean Road Motor Inn consists of spacious, comfortable, tastefully decorated units with decks. Each apartment has been individually furnished and decorated. The motel features a range of guest facilities to ensure your stay is relaxed and enjoyable. Experience the exciting 'shipwreck' coastline - the surrounding limestone cliffs being some of the best-known landmarks in Australia. Port Campbell is central to 26km of spectacular, rugged, world famous coastal scenery and formations. Natural attractionsinclude Twelve Apostles, Lochard Gorge, London Bridge, Blowhole, Bay of Matyrs, plus numerous other breathtaking sights. 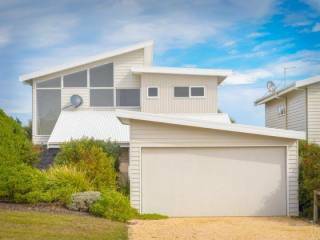 Great Ocean Road Motor in is situated in a quiet position within walking distance of the swimming beach, fishing jetty, museums, Information Centre, restaurants and shops. Deluxe Rooms These are spacious units with pitched timber ceilings. Deluxe 2 Bedroom This is a fully equipped unit containing a small second bedroom. Executive Spa Suites Similar facilities to deluxe units but have luxury 3 corner spas, CD players, remote control video and television. 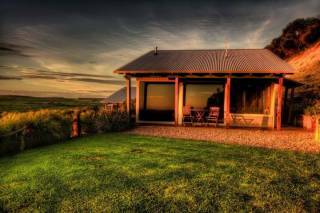 Great Ocean Road Motor Inn is located at Port Campbell, a sleepy fishing village nestled amongst some of the most spectacular coastline scenery. 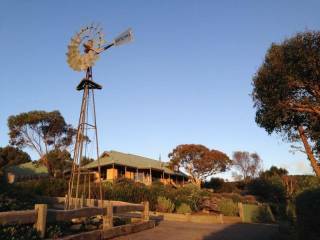 The Great Ocean Road Motor Inn is in a quiet location at the northern end of this small village and the car entrance is as the back of the property off Desailly Street. The Motor Inn is within 5 minutes walk to restaurants, beach, jetty and shops and central to all major attractions. Port Campbell is 3 hours from Melbourne along the Princes Highway through Geelong, Colac then inland through Simpson and lush dairy farm country. The picturesque drive from Geelong around the Great Ocean Road can take 4 - 6 hours as there is so much to see along this route. It is a spectacular coastal journey and also takes in the Otway Rain forest after Apollo Bay. V/Line bus departs Fridays from Geelong & Warrnambool, which travels along the Great Ocean Road. A taxi from Tullamarine Airport would cost around $250 and is a 3hr drive away. Alternatively, there is a small landing strip located at Peterborough.